I'm in love with an 18th-century cello. So I traveled to Italy to figure out how to make one just like it. Well, almost. Last April, I got into a taxi in Cremona, the Italian city that is the world center of liuteria (violin making). In the car with me was the most distinguished of traveling companions: the 1700 Stauffer-ex Cristiani violoncello, made by the greatest Cremonese liutaio, Antonio Stradivari. We were off to Modena, where a computerized tomography (CT) scanning facility awaited us. 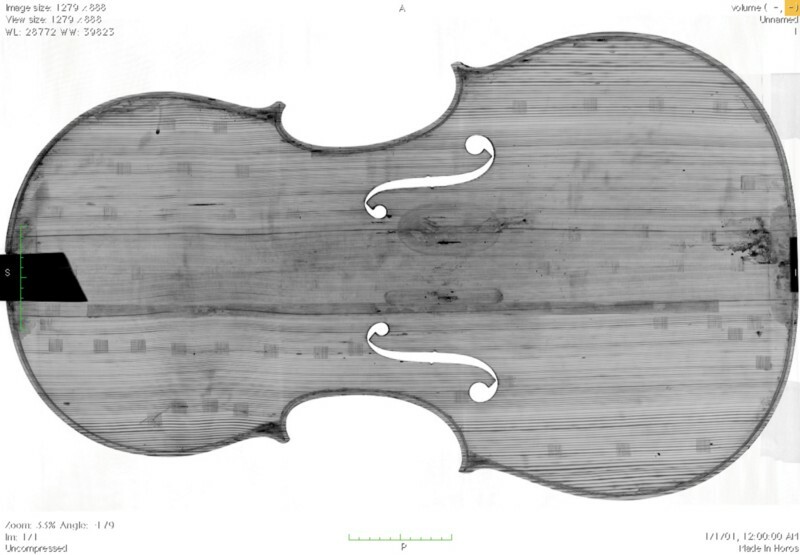 Strad’s progeny, three centuries old, was scheduled for a full-body scan. 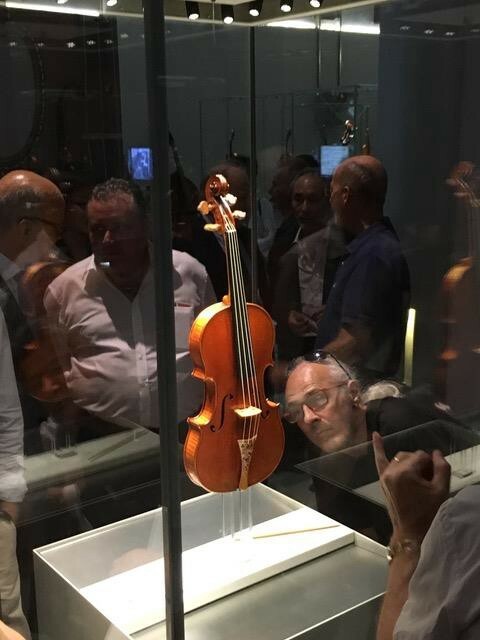 Accompanying us were Fausto Cacciatori, the conservatore of Cremona’s Museo del Violino, and Paolo Bodini, its deputy director and president of the Friends of Stradivari network. The museum they oversee serves as the home of the Cristiani, one of a collection of stringed instruments crafted by the illuminati of 17th- and 18th-century Cremonese violin making. And the Cremonese taxi driver, Luca Voltolini, is a music maven whom I see regularly at Museo concerts and events. Everyone is a little bit crazy about liuteria in Cremona. When Oxford’s Ashmolean Museum loaned the Museo the 1716 Stradivari Messiah — the most famous violin in the world — for its tercentenary last year, you’d have thought an Italian starlet had just shown up with a gaggle of paparazzi in tow. Violin making is also a business. Cremona has over 160 professional liutai working in storefronts all over the city. Their association sells its instruments around the world — from San Francisco to Shanghai, Seoul and Taipei. “Made in Cremona” carries an imprimatur. The Stauffer-ex Cristiani cello, in the back seat of our taxi, is my inamorata, with its beguiling form, wine-red varnish and sublime sound. The most famous violoncellist to play it was Lise Cristiani, a Parisian prodigy who toured the concert halls of Europe to great acclaim before dying tragically from cholera, at age 25, after a concert tour in Siberia. In an 1845 concert in Leipzig, when she was 17, her virtuosity and charm caught the attention of her accompanist, none other than Felix Mendelssohn. He then composed and dedicated to Cristiani his romantic Song Without Words op. 109, now a staple of the violoncello repertoire. I’ve been trying to persuade the Museo to scan the Cristiani for nearly three years. 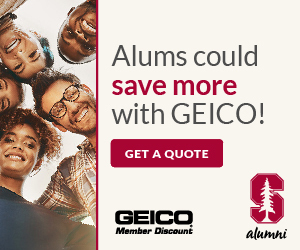 Now, after many megabytes of email encouragement, and finally my moving to Cremona for four months to make the case in person during my sabbatical, they’ve agreed. 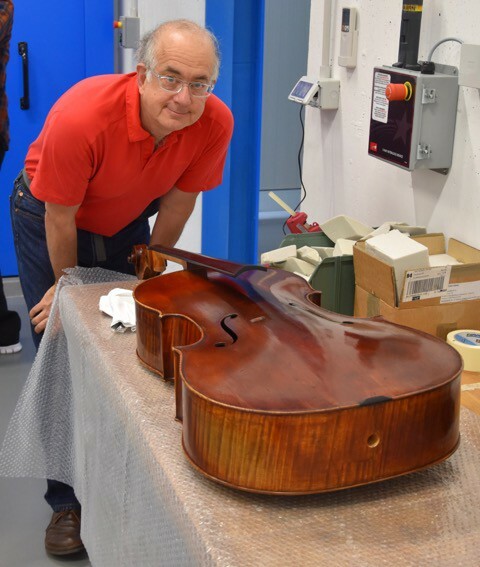 We’re taking the Cristiani to be scanned so that we can better understand its history and its design, and so that I, and others, can make versions of it tailored to modern cello proportions. 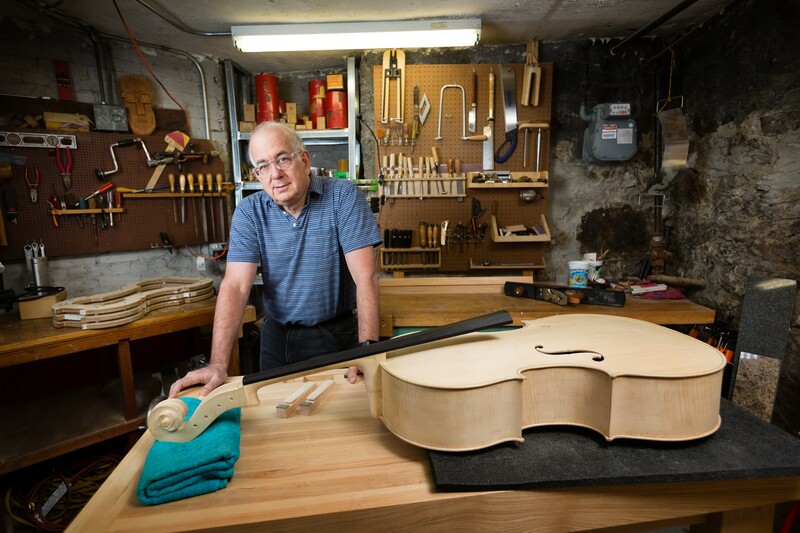 To understand why a computer science professor like me would be interested in doing this, you first have to understand something profound about the art of violin making. Modern composers venerate Mozart but do not aspire to write opera in the idiom of Le Nozze di Figaro. Contemporary artists revere Tiziano and Tintoretto but don’t want to paint like them. Today’s scientists put Galileo in their pantheon yet prefer to stand on his shoulders to see further. But modern violin makers aspire to copy famous instruments designed by Nicolò Amati, Antonio Stradivari, Giuseppe Guarneri del Gesù and other luminaries from the golden age of Italian liuteria. Somewhere along the line — whether it was the ravages of the plague and consequent loss of communal knowledge, the emergence of new technologies of measurement or social fealty toward the past — the classical age of stringed-instrument design gave way to the romantic age of copying. But the importance of design has slowly undergone a rinascimento, a renaissance. In his 2006 book Traité de Lutherie: The Violin and the Art of Measurement, French luthier and polymath François Denis showed how stringed-instrument design was based on Euclidean straightedge and compass constructions right out of your 10th-grade geometry class — and not on rulers, graph paper, calipers, protractors and other precision instruments of modern measurement. I sat down to draw a violin. Hours later, I was surrounded by the discarded detritus of defeat — nominally parallel lines that weren’t, misplaced circles and intersections, and gaping holes in paper, dug from inserting the compass in the wrong place. Then I looked again at the book and realized: François’s violin recipes were just a suite of informally written computer programs. For centuries, Euclidean geometry was the canonical way that people thought about form and structure. Every town had its own system of measure. But when craftsmen congregated from afar to construct a cathedral, those metrics created havoc. Geometry, on the other hand, is a language understood by all in exactly the same way. Half the distance means half. Parallel, perpendicular, tangent, bisector — these words mean the same thing to everyone. No one has to worry how many handbreadths there are in a cubit. Enlightened by Denis’s book and its recipes, I sat down to draw a violin. Hours later, I was surrounded by the discarded detritus of defeat — nominally parallel lines that weren’t, misplaced circles and intersections, and gaping holes in paper, dug from inserting the compass in the wrong place. Then I looked again at the book and realized: Denis’s violin recipes were just a suite of informally written computer programs. If I designed a programming language in which to code exactly what is in his book, I would have a precise statement of his design formulas. I could get a computer to draw everything for me. I could modify the formulas and immediately see what changed in the forms. I could experiment with designs and use the software for historical research on stringed instruments. The software I’ve put together to realize Denis’s ideas I call “Digital Amati,” after Andrea Amati, the 16th-century Cremonese maestro generally credited with making the first instruments of the violin family. When I lived in Cremona last year, I paid court to the Cristiani several times a week, hoping that by careful and close observation, I could internalize all of its proportions. But the Cristiani has a problem: It’s really too big for a modern musician to play — roughly 2 centimeters longer than the modern standard. Violoncellos, originally used to play simple bass lines in church music, later became virtuoso instruments. Their size consequently decreased, giving the player access to more positions on the fingerboard. Pitch standards changed. And string technology improved. Many early Stradivari violoncellos were taken apart and cut down in size during the late 18th century. But not the Cristiani. It stands unchanged, witness to Stradivari’s revolutionary move from his earlier, big cello designs, to instruments played by Yo-Yo Ma (the 1712 Davidov, once played by Jacqueline du Pré), the late Mstislav Rostropovich (the 1711 Duport) and the late Bernard Greenhouse of the Beaux Arts Trio (the 1707 Countess of Stanlein-ex Paganini). These latter instruments set the standard for the modern violoncello. 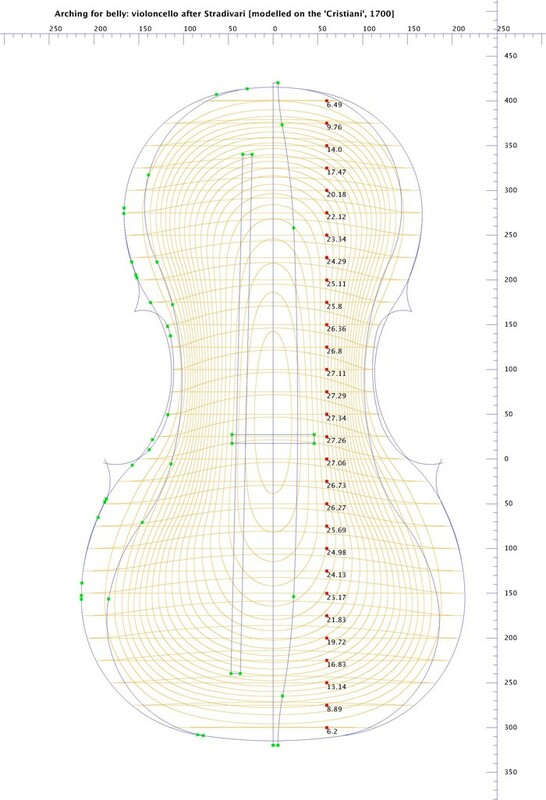 The Renaissance design method for stringed instruments is proportional: From an initial length, everything is drawn with straightedge and compass. Inspired by Denis’s methods, I did a proportional reconstruction of the instrument from photographs and reduced its string length to the modern standard. Now I’m building this reduced-size Cristiani based on my design. So are prominent stringed instrument makers around the world. I took my drawings to the Oberlin Violinmaking Workshop in 2015, where we used a computer numerically controlled router to make about 35 sets of molds and templates for violin makers to take home. The CT scan will provide us with better data to serve as a foundation for better design. Curators and instrument historians can see in detail both the damage and the repairs that have been made over centuries. And the scan data and software tools can help us put together what I call a “computational art history” of the evolution of instrument forms, and how ideas about design migrated between violin makers in the 17th and 18th centuries. A full working day was needed for an overall scan, including a higher-resolution focus on areas of interest: near the soundpost, the f-holes, and the scroll and pegbox. But this being Italy, we couldn’t forsake lunch, and for the security of the violoncello, members of our research team were required to remain with this most famous of Stradivari instruments. So we roughed it: Our research team was served a catered lunch in the laboratory abutting the CT scanning room. After antipasti, we had tortellini con maggiorana e ricotta, maccheroncini con asparagi e salsiccia, parmigiano reggiano con aceto balsamico di Modena, all with a choice of lambrusco or prosecco, pasticcini, fruit and coffee. È uno lavoro sporco, ma qualcuno deve farlo (“It’s a dirty job, but someone’s got to do it”) is not an Italian idiom, so I had to teach it to my Italian colleagues. The first part of my Italian sojourn is straight from the 17th century, and its complement is entirely modern. The former is situated in a Renaissance world of art and craft, the latter in our world of contemporary technology. But it is only our modern misperception that these are disparate components of a disjointed story. Among the sainted shibboleths of the academy are the importance of interdisciplinary research and experiential learning. For years, I’ve groaned at the mention of either. It’s hard enough to learn to do one thing well, I believe, and immeasurably harder to learn two — and, moreover, to put them together. Besides, everything is experiential: There simply is no learning without doing. But this project has forced me to put my academic cynicism aside. I embarked on it not because it was interdisciplinary or experiential. I just wanted — enormously so — to do it. In turn, it’s given me a hands-on appreciation of some of the great artistic creations of the late Italian Rinascimento. And it’s been a renaissance for me too. Harry Mairson, PhD '84, is a professor of computer science at Brandeis University.